As former restauranters we love to entertain and enjoy the company of guests in our home. Good food and comfort are important to us and also ensure that your stay is memorable. Bosvean House is open from the beginning of May until the end of September and can accommodate 6 people in 3 en suite bedrooms. We have furnished the house with French and English vintage furniture personally designed by us to be a family home. The rooms all have tea/coffee making facilities with welcome treats and bathroom extras. In the morning your wake-up call will be the sounds of the local birds and lambs calling. The views are stunning with the bedrooms looking out over open countryside. A short walk along the bridleway takes you into Stratton with its famous “Tree Inn” restaurant and bar. If you prefer traditional Cornish and Devon ales, try The Kings Arms in Stratton. Stratton is less than 2 miles distance by road. 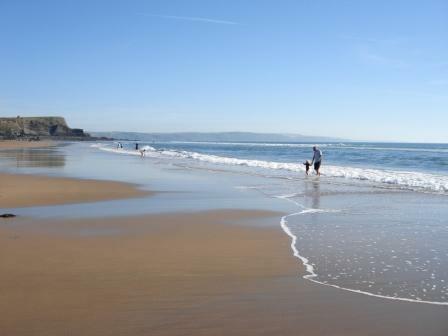 The fantastic Bude beaches can be reached within 5 minutes – only 2 miles away. All rooms are £70 per night based on 2 people sharing. We offer discounts on longer stays so please contact us to discuss your requirements. The House has a good sized gravel parking area directly outside and a ramp leading to the front door for easy accessibility. All of the bedrooms are upstairs. The lilac and cream bedrooms have walk-in showers and the green room has a bath with a shower above. We offer total accommodation for up to 6 people, including children however we do not have cots available for infants. We do not allow pets in the house. We offer stabling for horses – please contact us for rates. Please do not feed our animals unless invited to do so – as this could attract the animals to follow other guests who do not wish for the attention of the animals. We do not accept responsibility for loss or damage to your property, nor injury to any person staying or visiting Bosvean House. Tea, coffee, fresh fruit, orange juice, and choice of cereals, muesli, toast, home made marmalade and jam accompany all breakfasts. All eggs are from our own free range hens. Sausages and bacon are from a local butcher and Cornish reared. Tomatoes, Potatoes, and fruit when in season are Home grown. We always use local produce whenever possible. Eggs fried poached scrambled, bacon sausage tomatoes baked beans fried potatoes mushrooms, all or any combination. Any of the above items can be served on toast. 2 boiled eggs fresh from our own Hens cooked how you like them served with toast or bread and butter. 2 poached eggs on a toasted English muffin with slivers of crispy bacon drizzled with truffle oil. Juicy tomatoes fried in olive oil sprinkled with sea salt and cracked black pepper, served with toast. Smoked salmon with creamy scrambled eggs. Kipper fillets with poached or scrambled eggs. Warm croissants, fresh baked rolls, cheese, ham and preserves. Sample of guests comments taken from our visitors book. The area around Bosvean house offers footpaths and bridleways for a spot of rambling. We are a short drive from Ivyleaf Golf Course and Driving Range and Ivyleaf Mounting Boarding Centre as well as the fantastic Norton Barton Artisan Food Village. 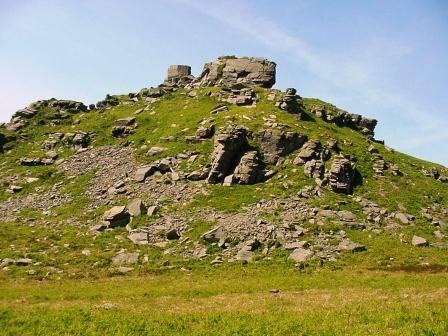 About 20 miles to the south lies Rough Tor, one of the highest points on Bodmin Moor. 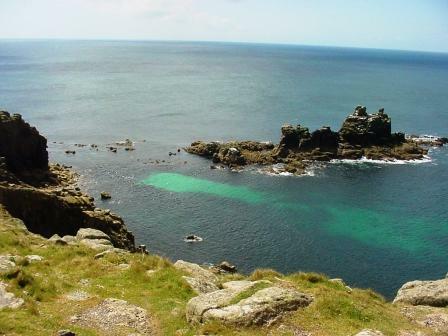 Steeped in legend and full of archaeological heritage, the moor delivers rugged beauty and breath-taking walks. Daphne Du Maurier’s Jamaica Inn lies less than 25 miles. Exmoor lies 30 minutes to the north. Dartmoor lies less than 30 minutes away to the south east. Wadebridge, Bodmin, Bude, Launceston and Padstow are all within easy reach, providing good local shops and produce. Padstow is the home of Rick Stein and has several restaurants and retail outlets associated with the famous chef. Directly across the estuary from the village of Rock (popular with the royal family), it also houses a lobster hatchery, working fishing harbour and provides boat trips. 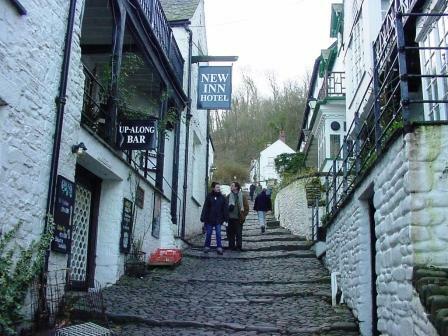 Among the many villages worth a mention are Tintagel with its castle and legends of King Arthur and the idyllic fishing village of Port Isaac where the popular Doc Martin television series was filmed. All within 30 minutes drive. There are important historic houses near Bodmin include Pencarrow and Lanhydrock. A visit to Cornwall would not be complete without a trip to either The Eden Project or The Lost Gardens of Heligan – both within an hours car journey. These are just some of the places in the area to visit. There are many others. Whatever you enjoy doing while you are here you can be assured of a warm welcome upon arrival and a beautiful home to return to at the end of each day.